Here it is at long last. After a decade of superhero blockbusters and six years of hyping the arrival of Thanos, Marvel Studios is set to unleash “Avengers: Infinity War” onto the world. It’s a virtual guarantee that this gathering of Marvel’s pantheon of heroes will have the biggest opening weekend of the year. The question is: Can it have the biggest opening record of all-time? Currently, trackers are expecting the film will have an opening of around $225 million, which would be second on the all-time list and higher than the $220 million launch earned by “Star Wars: The Last Jedi.” It would also be the biggest opening in superhero movie history, beating the $202 million earned by “Black Panther” two months ago and the $207 million earned by the first “Avengers” in 2012. As they have done for all major releases, Disney has kept their expectations cautious for “Avengers,” noting that tracking can be unreliable at this level since there are almost no comps for films that open at over $200 million. Still, box office analysts and rival studio execs who have spoken with TheWrap in the past week tell TheWrap that all the pieces are in place for “Infinity War” to beat the all-time opening weekend record, which was set by “Star Wars: The Force Awakens” with $248 million in December 2015. It has become an near-annual tradition for the summer movie season to kick off with a Marvel release on the first weekend of May, dating back to “Spider-Man,” which became the first film to post an opening weekend of over $100 million in 2002. With the exception of 2014, an MCU film has taken that release slot every year this decade, but Disney moved the North American release date one week back to this slot to give “Avengers” a day-and-date worldwide release. 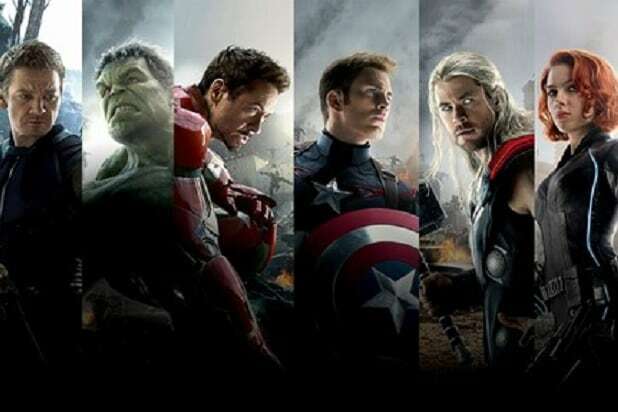 Several major characters are expected to be killed off in this film, and the simultaneous release will prevent spoilers from overseas reaching the U.S.
Because of that shift, “Avengers” will blow away the record for the biggest April opening weekend regardless if it passes “The Force Awakens,” with the top previous release for this month being “Furious 7” with a $147 million launch in 2015. After that, “Avengers” is likely looking at a second-weekend total of over $100 million, a total that would be higher than nine previous MCU films, including “Captain America: The Winter Soldier” with $95 million in 2014. Based on the pace set by “Black Panther,” which has grossed $681 million domestically, “Avengers” should easily pass $500 million in U.S. receipts by the end of May. Combine that with the openings for “Deadpool 2” and “Solo: A Star Wars Story,” and the box office could be looking at a new gross record for May. The all-time record was set in 2013, when “Iron Man 3” and “Star Trek: Into Darkness” led the box office to a monthly total of $1.14 billion. That is likely to turn around 2018’s year-to-date deficit, which is currently 2.4 percent behind the $3.57 billion made to this point last year. 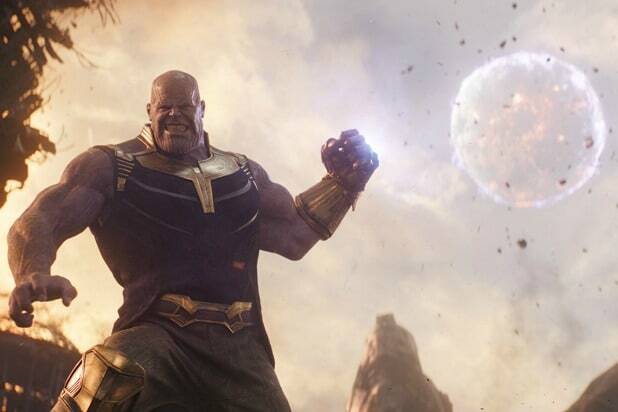 “Avengers: Infinity War” sees the galactic warlord Thanos (Josh Brolin), who was first teased in the “Avengers” post-credits scene six years ago, finally arrive on Earth as he seeks to gather the six Infinity Stones that will give him godlike power over the entire universe. In the face of this overwhelming threat, The Avengers reunite once more, teaming up with Doctor Strange (Benedict Cumberbatch), Spider-Man (Tom Holland), and the Guardians of the Galaxy in a war that will forever change the MCU. Anthony and Joe Russo (“Captain America: Civil War”) directed the film from a script by longtime Marvel Studios writers Christopher Markus and Stephen McFeely. The film’s ensemble cast includes Robert Downey Jr., Chris Hemsworth, Mark Ruffalo, Chris Evans, Scarlett Johansson, Bradley Cooper, Don Cheadle, Vin Diesel, Chadwick Boseman, Paul Bettany, Elizabeth Olsen, Anthony Mackie, Sebastian Stan, Danai Gurira, Letitia Wright, Dave Bautista, Zoe Saldana, Josh Brolin, and Chris Pratt.